In the 1950's and early 1960's, the old agency building was used as a make-shift clinic. 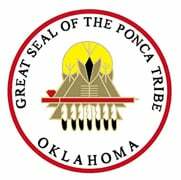 Dr. Powell was one of the many doctors and dentists that the Ponca Tribe contracted with to provide health care services. In the late 1960's health services were provided out of the old mattress factory building (which later was used for the Blue Star Casino) that was located in the heart of the White Eagle Indian Community, this comprised the White Eagle Health Center. In the mid 1970's the tribe secured a loan from the Security Bank to build a clinic, the loan was approved based on the lease agreement with the Indian Health Service. The clinic was later expanded to its current condition. In 2000 the tribe utilizing PL 93-638, compacted the health care as well as its administration and has since been successful in its operation. The mission of the White Eagle Health Center is to support and strengthen individual, family, and community by providing high-quality health care by "Empowering Indian People Through Quality Healthcare." Our long term vision is to "Ensure Healthy Generations of Indian People." The White Eagle Health Center holds these core values and beliefs that underlie our mission and vision. > Individual health elevates and strengthens community health. > Quality health care should be available, accessible to Indians in our community and should be provided in a manner that respects their unique culture and traditions. > A comprehensive approach to health care includes attentions to physical, mental, spiritual, and social well-being and promotes individual growth and empowerment. 200 White Eagle Dr, Ponca City, OK.